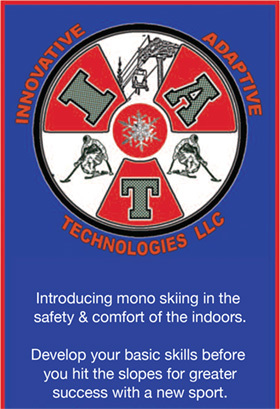 The Sit Ski Simulator came through a vision after attending Hartford Ski Spectacular in Winter 2011 season (Dec). On a very cold day, thinking to myself as an abled body instructor, learning to ski the monoski that it felt like a difficult sport to learn. 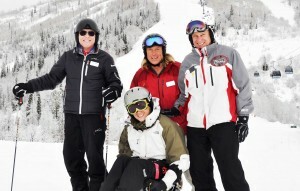 It reminded me that if anybody experiences an unpleasant first day of skiing they may not be so willing to try it again. I was very humbled with the crashes and relying on others to pick me up. I was cold and frustrated. After my experience in the icebox, on my drive home I came up with this idea. Called my water ski buddy Stephen Harrison and shared this idea with him. Met for a beer and the napkin blueprints began. This evolved into AutoCad 3D drawings that Steve created from my wish list. We had the first two prototypes by the end of Spring 2012. 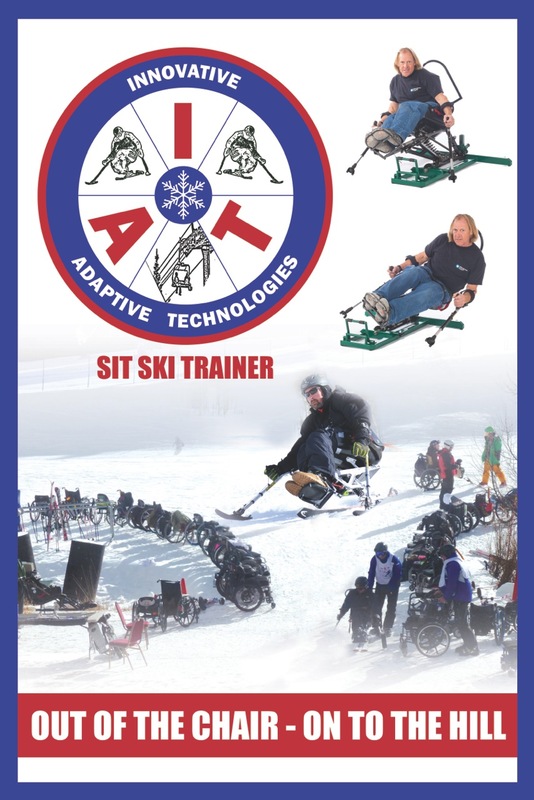 After a Summer of testing, the third prototype (S³T) –Sit Ski Simulator Trainer for the beginners, came to be. Further testing with the para-olympic’s alpine development team out of Aspen (Highlands), CO, the second model the (S³RT) –Sit Ski Simulator Racer’s Trainer, an advanced version for race training was created. Both prototypes were created just in time for their debut, a year later, at the Ski Spectacular 2012 held at Breckinridge, CO.